Free data recovery software helps to retrieve your lost documents, photos, music, videos, files and more from any storage devices based for Windows, such as hard drive, memory card, USB, digital camera, player etc. iBeesoft Free Data Recovery is developed to help users to quickly retrieve all deleted, lost, formatted files without further technical learning. Just 3 steps to free recover data. It offers Quick Scan and Deep Scan, two scan modes, to recover lost files as many as possible; Deep Scan mode can detect and restore more lost data by scanning by sector. 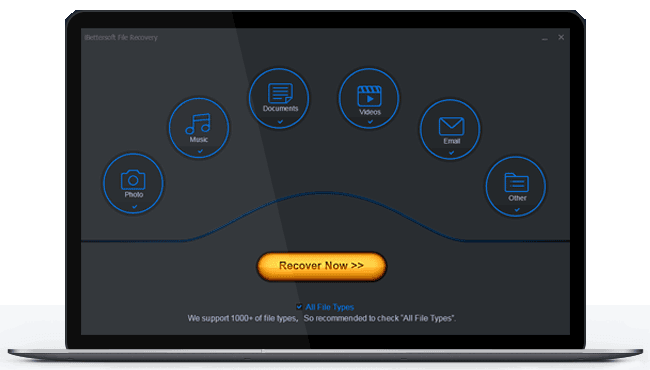 To guarantee recovery quality and correct, users can preview or search the specified data by file names, file types before executing a recovery. iBeesoft Free Data Recovery supports all storage devices like hard disk, Memory SD Card, Flash Card etc. Just a few clicks, you can get all lost data back. When file loss disasters occur.Don't worry! The data recovery free software uses the latest powerful scanning algorithms to quickly recover lost data. We offer two scan modes to recover more lost data from hard drive or removable device. iBeesoft Free Data Recovery recovers your lost data under almost any conditions including: accidentally deleted files, lost partitions, formatted partitions and hard drives, raw disk ect. 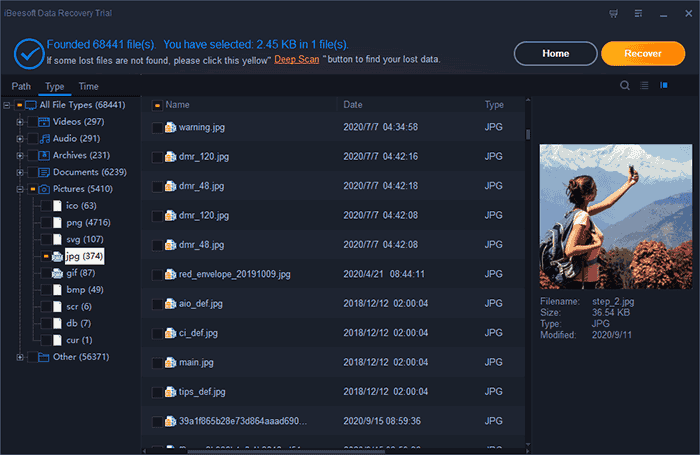 Common image/photos files, such as PNG, JPG, TIF, BMP, GIF, etc. Common documents, such as DOC, XLS, PPT, PDF, CWK, EPS, etc. Common video files, such as AVI, MOV, MP4, M4V, 3GP, 3G2, WMV etc. Common voice/music files, such as MP3, WMA, WAV, AIF/AIFF, M4A, etc. 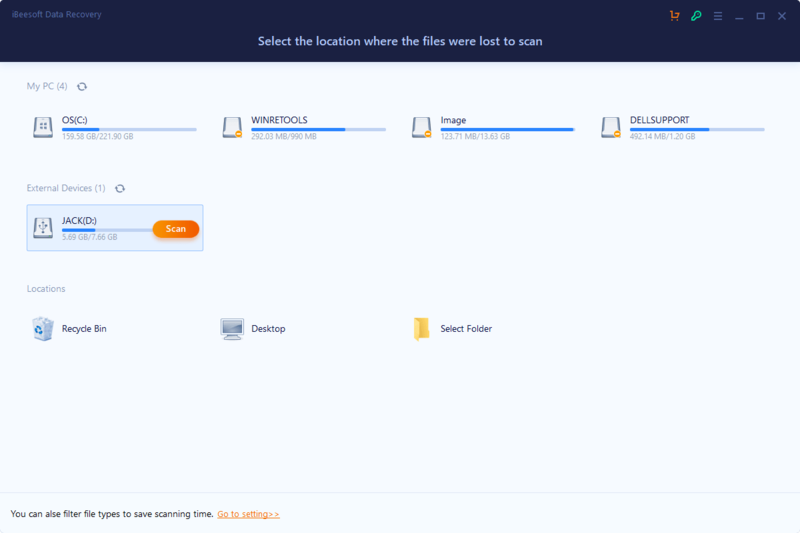 Other files, Such as Archives(ZIP, RAR, SIT, ISO etc. ), exe, html, etc. The reliable hard drive data recovery software allows you to not only recover lost data from PC, laptop or hard drive, but also recover lost data from USB drive, SD card, digital device or other storage media. "My job is to the make video, so I cut, copy or delete a lot of videos for every day. I sometimes accidentally delete videos I need. When this problem happens, I will use iBeesoft to help me find them. It's really great. I feel glad to have this software in my life." "I just have to say a big 'thumbs up' for ibeesoft free data recovery. I have spent 2 days going around in circles testing other software on the market. Yes, I did have to pay for the licensed version but it was worth it. The free version proved to me that the ibeesoft was quick and easy to use. I recovered all of my family's treasured files from my external hard drive. I can now use the hard drive again and get back to work! Thank you."